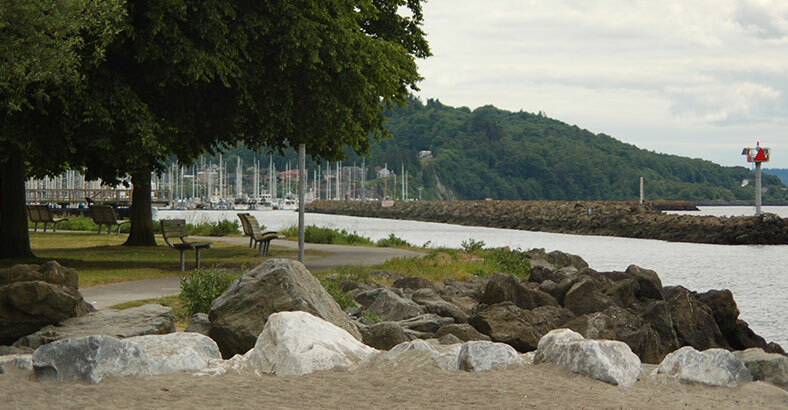 Since opening in the 1920s, Golden Gardens Park’s long, broad, sandy beaches overlooking Puget Sound and the Olympic Mountains have been a favorite place for Seattle residents to recreate. 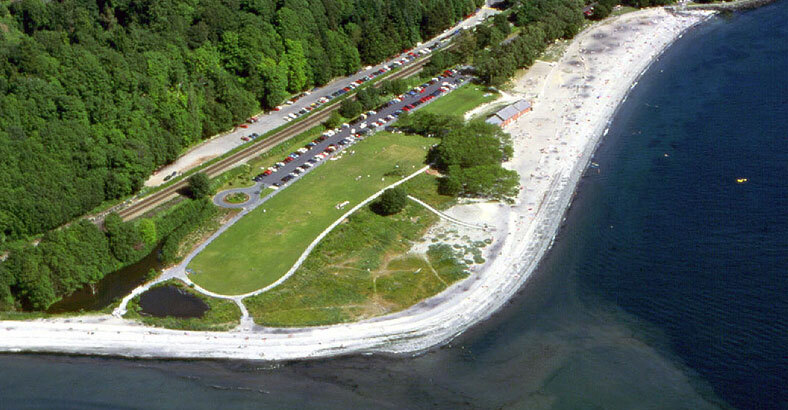 Our firm conducted an initial study as a part of a four-park beach enhancement study. A more detailed schematic plan and construction documents were then developed. Schematic plan preparation involved extensive community involvement and coordination with local, state, and federal permit agencies. The resulting plan generated widespread community support and significantly improved the site as an urban park and as a natural habitat. The plan called for extensive use of natural beach re-nourishment methods to stabilize the eroded north beach. It also involved reduction of the parking area in order to expand and restore wetlands, cleansing of stormwater runoff, restoration of degraded sand dune habitat, creation of extensive handicapped-accessible pathways for improved shoreline and bathhouse access, day-lighting of a small creek at the south beach, and interpretive signage. Construction utilized recycled materials, such as plastic lumber, salvaged utility poles, and “re-milled” asphalt. As a part of the project, we and their design team worked with the City of Seattle to have volunteer groups begin restoration of the dune habitat with native vegetation. During a two-year period, over 1,000 volunteers of all ages participated. The project is an excellent example of how community stewardship can address both environmental and social issues while also maximizing limited City resources.